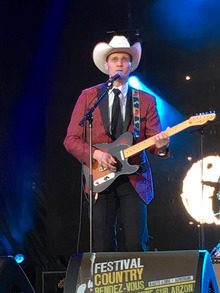 Jake Penrod has quickly earned a reputation as a master of Honky-Tonk music, who not only sings and writes, but can also play just about any instrument you hand him. In 2013, he released an album of original material, titled "Closer To Me". 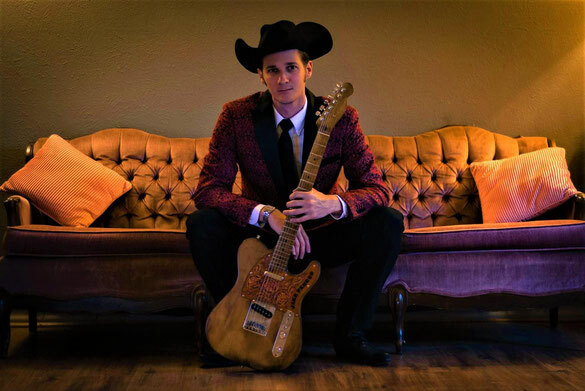 The album showcases Jake Penrod's songwriting ability as well as musicianship across an array of different styles of Honky Tonk music. He wrote each song on the album and played every instrument in authentic Honky Tonk fashion, proving he knows his stuff when it comes to traditional Country Music, and earning the title of "King of Texas Twang". Jake is a Country Music traditionalist who believes moving forward doesn't necessarily mean leaving the past behind. "There were a lot of great ones before me," he says. "There's still a lot you can do with what they started. These new guys; they're creating something new and different, and that's great, but we can't forget where we came from. If Country Music is going to carry on, you have to keep the roots alive." Jake was named 2017 Honky Tonk Male Artist of the Year for the annual Ameripolitan Music Awards in Austin,TX (ameripolitan.com). In 2016 he was awarded the Academy of Western Artists' Will Rogers Award for Pure Country Male Vocalist of the Year for 2015. Decked out in a suit and tie, and crowned with his signature Stetson, the six-foot Texan even looks like a flashback to Country Music's heyday. He gives credit to fellow Texan Ernest Tubb for inspiring his style. "He always looked like a million bucks. His band, too."